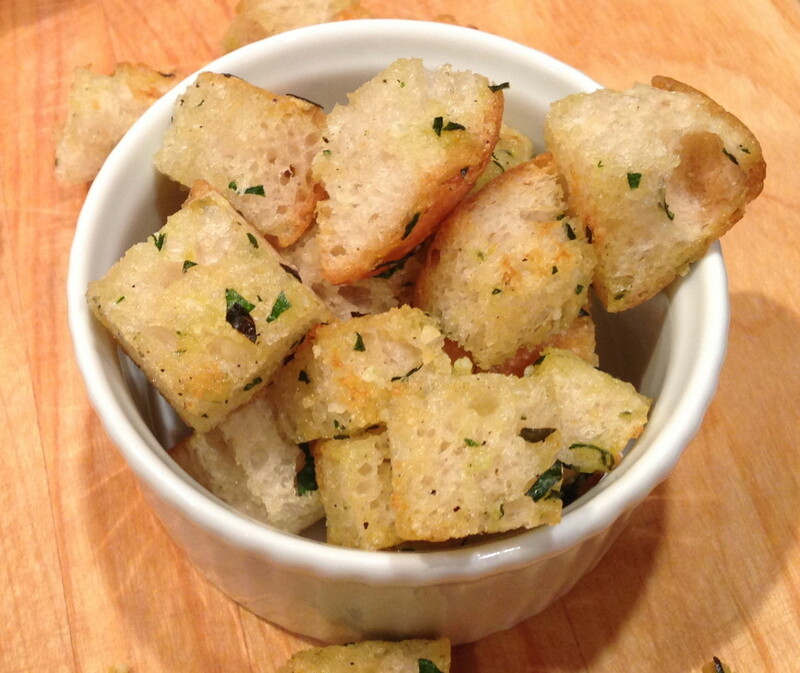 Unless you count restaurants, I doubt very many of you have ever eaten homemade croutons….I sure haven’t. I think my mom was in the “baking mood” as I like to call it, and wanted to make something different than cookies or muffins in the kitchen. Flipping through Jennifer Perillo’s cookbook, Homemade with Love, mom discovered this quick and easy recipe for croutons! 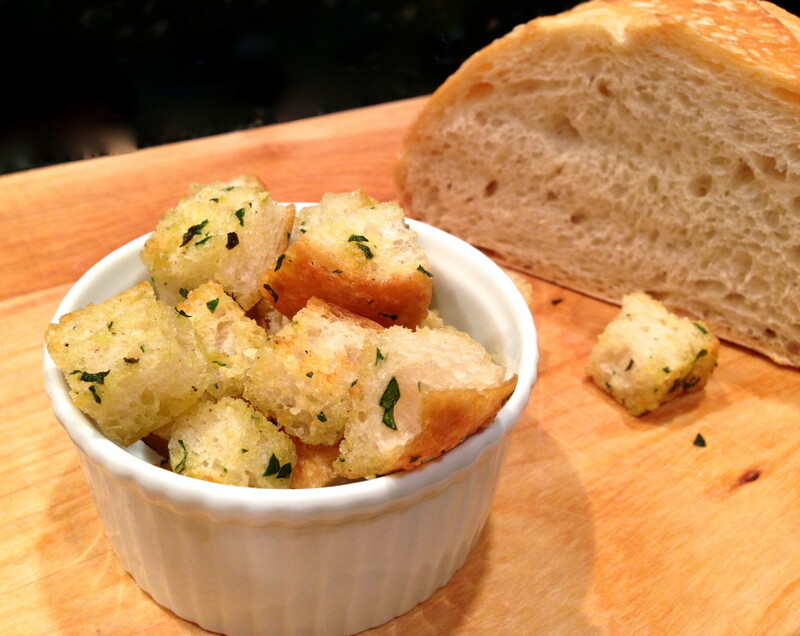 Not only are they well seasoned, these croutons are easy and quick to make, they are impressive to serve. Mom made these for dinner, served a top a caesar side salad, fresh bread and spaghetti. Did I mention Italian food is my favorite? Enjoy!! 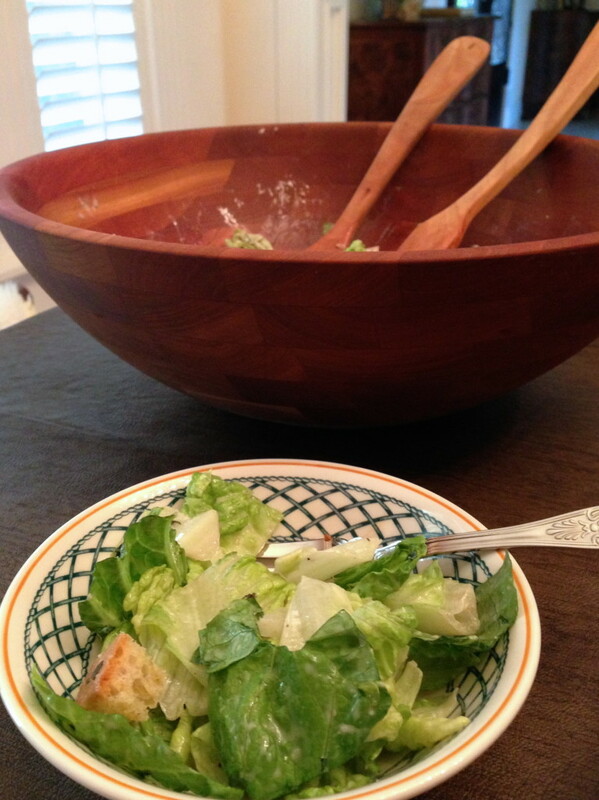 Serve croutons with a caesar side salad. Toss all ingredients together in a bowl until the bread cubes are well coated. Heat an 8-inch (20 cm) skillet over medium heat. Add the seasoned bread cubes to the pan and cook, turning occasionally, until golden all over, 5 to 7 minutes.